The EGLA-TWIN architectural mesh is characterised by its smooth flat surface on one side that homogenously reflects light. The twin warp wires, which run close together, give this popular weave type a filigree appearance. 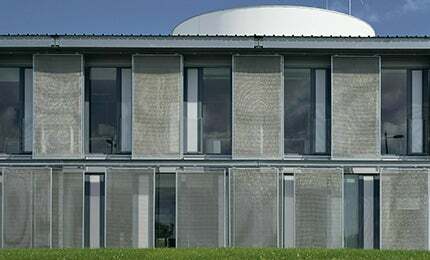 A highly versatile mesh particularly suitable for façades and interior design.